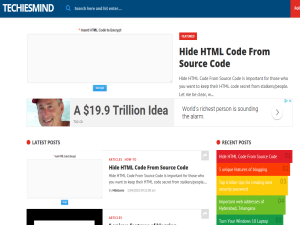 Techiesmind is a platform where mind and brain work together for exploring information about technology, articles and how-to tutorials for newbies. This what your Techiesmind Blog Ad will look like to visitors! Of course you will want to use keywords and ad targeting to get the most out of your ad campaign! So purchase an ad space today before there all gone! When I first Received my mobile in my hands, I was super excited because of the features it claimed on the website and reviews on youtube. It was better than all the other mobiles competing at that time. I purchased a 4gb RAM variant so that the performance stays smooth. And it is really smooth up to now. I liked every feature of the phone. I was glad that I purchased a good phone after all. And this day arrives “Festive Offers” on Flipkart. I was disappointed to see that the price of the mobile was dropped up to Rs 3000 and it was a discount for the new buyers. It felt like Asus stabbed me at the back. I guess, a lot of people felt the same as me. Well, it’s okay but unacceptable. 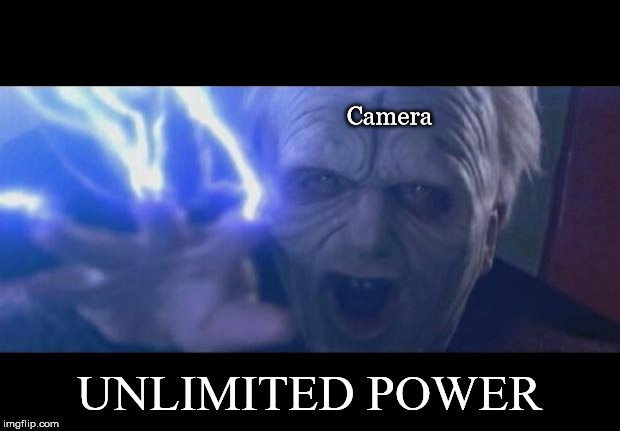 Overall the features are many but sometimes the camera app crashes. Even the stock camera quality is not so good. 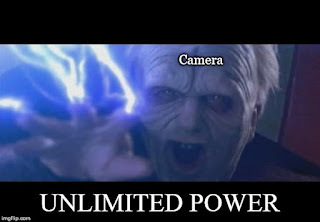 But there’s a way to fix this issue: You need to download Gcam(Google Camera) so that the camera can utilize its unlimited power. In Android Oreo, Everything was perfect and cool, I had no problem. PUBG graphics settings were available till HIGH and the frame rate too. PUBG graphic settings are now available till MEDIUM and the frame rate became less compared to the previous version. Sound quality got decreased compared to the previous android version (Oreo). In the display settings, the night light feature is missing. Also, the battery drains faster. I tried factory reset but still, I saw no change. After the Pie Beta update, this device lost its charm. I hope Android Pie stable update may fix all the issues and problems of the users. I broke my phone within 3 months. The screen is broken at the right side but I’m still using it. Asus zenfone max pro m1 manufacturers should have thought about screen protection. I used tempered glass but still it broke the screen. Because the glass didn’t cover at the edges of the phone so it broke. You can say this is a bad luck for me. I have no other issues in the physical appearance except the screen protection. Should you purchase Asus zenfone max pro m1 or not? My answer will be Yes, but now there are a lot of better options of mobiles compared to this. So, it’s a free real estate of your mind to choose what you prefer. In the coming future, it looks like Realme Mobile is going to win people’s heart with budget range prices. Because it gives the coolest features similar to the ones available for the high-end mobiles. I hope Android Pie stable update brings joy and happiness to everyone. You might be interested in: Speeding up your android device? or Speeding up your PC? or Meeting new friends online? As per the official sources of Asus, Android Pie update (stable) for Asus max pro m1 and Asus max pro m2 will be received to the users on 15th April 2019 by OTA update. Maybe security updates will be included with this or maybe it will come later. Asus provided with security updates every month since the sale of the device in the online market (e-commerce). It is doing a great job but it is slow in updates. Is it worth buying? Well, of course. With all the discounts, you get a good performance phone under 10k. It is better to compare mobiles and check the specifications for a better understanding and to purchase the best performance phone. Hard earned money should be invested correctly. Whenever you purchase a mobile you should be aware of the latest specifications of the mobile. Research before you buy a phone, Money should not be wasted. Even if you sell your phone after 2-3 months of usage, you won’t get the full amount. You’ll get half of the amount or slightly more. Because technology is improving every day and the mobile manufacturers are implementing it as soon as new technology is released in the market. So, be updated with the latest specifications such as what as the Processor, CPU, GPU, RAM. Because these are the main specs and the speed of device depends on it mainly. If you are a gamer you have to purchase 4GB RAM or higher. Whereas if you’re a normal user (Social media apps and browsing) you should consider buying 3GB RAM or higher. It all depends on your budget. Higher the price = Higher the qualities and performance. If you’re an Asus zenfone max pro m1 user, comment down the difficulties and problems you faced and since how many months are you using this device? And if you know any secret tricks and tips about this device, please let me know in the comment section below. 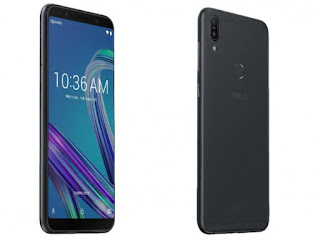 The post Asus zenfone max pro m1 (Honest Review 2019) appeared first on TechiesMind.com. The post 5 Best Android apps to meet new people Online (2019) appeared first on TechiesMind.com. Note: Slowing of your Android phone has many factors, these steps may work or may not work depending on the condition of your phone. If you’re lucky, these steps will work fine for you. Animations may look beautiful for the user interface but it makes the device slow. There are 3 types of animations present in every android device, they are Window animation, Transition animation, animator duration. You have to set them to 0 seconds. But first, you have to enable developer options to access this setting. Go to Android settings, search for build number. (Android settings are different for each smartphone brand) In most devices build number can be found in About section. Tap on the Build number for 7 times. Next, search for Developer options in the settings. There are many settings available inside Developer options but your main goal is to turn off the animations. So don’t change any setting unless you have knowledge about that. Scroll down to the animation section and change the values to Animation off. By changing this setting, your android phone may look ugly but the performance will be boosted. If you don’t want your phone to look ugly, you can change the settings to 0.5 seconds. When you open an app and use it for a while, it stores data in the form of cache. So that the contents in the app load faster the next time you access it. But what if the cache data grows big? It may slow down your device performance. Thus, it is recommended to clear up the cache at regular intervals. Go to settings -> Storage -> Select an app from the list -> Clear cache (These navigation settings maybe different for other devices) But the procedure is same. You can install Files Go app in your device, it helps in deleting the unnecessary data. Bloatware means pre – installed apps which come with the device. These apps are installed at the time of manufacture, You can uninstall them. Also uninstall every app which you didn’t use since a month. If you have installed heavy apps in your device, then you should consider deleting them and replace it with a lite version of that app if available. Facebook consumes a lot of space whereas Facebook Lite consumes less space. Check for system updates and install them whenever they are available. Because system updates bring you smooth experience. It comes with bug fixes and security patches. So, it is important to check for updates regularly and install them. When you restart, it clears up cache and refreshes the device at it’s normal state. So, it is a better and effective option. If these steps didn’t work for you, then you should consider Factory Reset. It is the last but not the least option available. Before performing Factory Reset, take backup of the important files. If we have missed anything important in this article or if you know any other method you can let us know in the comment section below. Thanks for reading. Have a good day, Take care. The post Speed up android phone in just 5 steps  appeared first on TechiesMind.com. The post Speed up PC [Windows 10] 10 easy ways appeared first on TechiesMind.com. If you are the owner of Techiesmind, or someone who enjoys this blog why not upgrade it to a Featured Listing or Permanent Listing?